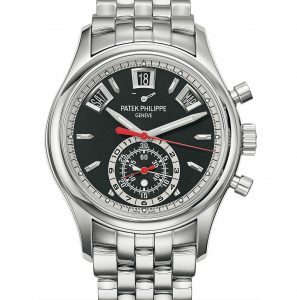 Introduced three years ago as the entry-level sports chronograph from Patek Philippe Replica, the ref. 5960/1A was originally in white with black accents. Now the colour scheme – the ref. 5960/1A-010. The new dial is “ebony black opaline”, while the rest of the watch remains the same. A 40.5mm steel case Patek Philippe Replica with a matching steel bracelet, and the automatic calibre CH 28-520 IRM QA 24H inside.